MM&M editors Marc Iskowitz and Larry Dobrow interview people of note in and around the healthcare marketing world, and chat about news impacting the sector. New episodes to be released every other Wednesday. Karen Newmark, executive director of the Point of Care Communications Council (PoC3), talks about how she’s working to restore advertiser confidence in the POC channel and new verification and validation standards coming out in May. Nancy Beesley, president and founding partner of HCB Health, discusses building out Austin’s budding med-comms industry and how she has adjusted to life in the Southwest. You’ve heard them on countless pharma DTC ads. But who are the people behind the voice? We find out on this week’s episode of The MM&M Podcast, which features veteran voice actors Joey Schaljo and Debbie Irwin. Priscilla Beal, head of Bayer’s US healthcare innovations team, talks about pharma as a partner for health tech startups and her keynote at MM&M’s Transforming Healthcare conference. 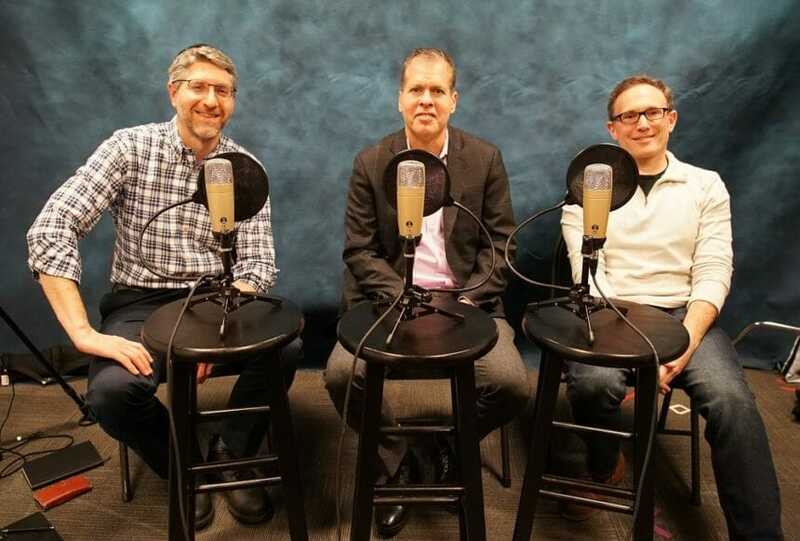 MM&M’s senior editor Larry Dobrow hosts three mini podcast episodes at South by Southwest covering topics such as emerging healthcare trends, cancer care, research funding. David Weingard, CEO of Cecelia Health, chats about how digital health is powering pharma’s latest patient support paradigm. Marc talks with Tayla Mahmud, EVP, business development at Razorfish Health, about the lack of diversity in drug development and her roundtable at MM&M’s upcoming PlusOne event. Marc and Larry welcome MM&M’s new editor-in-chief, Stephen Madden, to the fold and interview the new EiC about his role and plans for the brand, highlights from his storied publishing career, and which of Boston’s professional sports teams will be next to win a championship. Jeff Erb, president of the global healthcare media agency Healix, chats about his experience in music and film, what it means for Healix now that it’s joined the PoC3, and where he sees healthcare marketing going in 2019. Becky Chidester, CEO of Wunderman Health, joins MM&M’s Marc Iskowitz and Larry Dobrow to discuss the integration with WPP, health’s #MeToo moment, and agency evolution in 2019.